Em ployers will have until May 21 to weigh in on the U.S. Department of Labor’s proposal to increase the minimum salary threshold for mandatory overtime to $679 per week, the equivalent of $35,308 per year. The current threshold is $455 per week, or $23,660 per year. make no changes to the job duties test. Significantly, the proposal does not include automatic adjustments to the salary threshold in the future. When a previous version of the rule was adopted during the Obama administration, employers faced annual COLA increases in the threshold, which would have increased to more than $47,000 per year. That rule was subject to an 11th-hour injunction and eventually was struck down by a federal judge in Texas. The rule is expected to take effect on Jan. 1. Employers who have exempt employees who are paid below the new threshold. 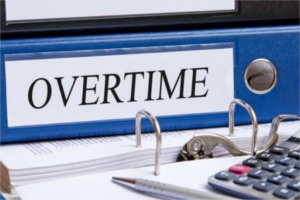 Essentially, employers have two options: Either start paying them overtime, even though they’re salaried employees, or increase their annual salary to the new threshold so they can remain exempt from overtime requirements. This will introduce a burden to New Jersey’s small business. I am very much against it. For one, it certainly puts the expense and responsibility on the business owner or management to implement time keeping technology or procedures that they may not have had to do before. I’ve learned that the proof of hours worked lie with the business and not the employee.